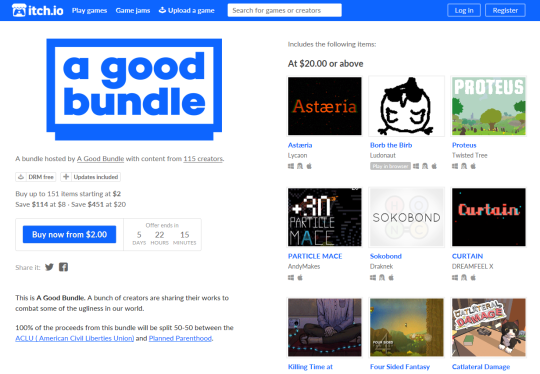 6 days ago, 115 creators donated 151 games and other works to A Good Bundle, a bundle to combat some of the ugliness that feels increasingly comfortable rearing it’s head in our world. With 100% of proceeds being split between the ACLU and Planned Parenthood, this bundle will give these organizations support when they will need it most. 1. 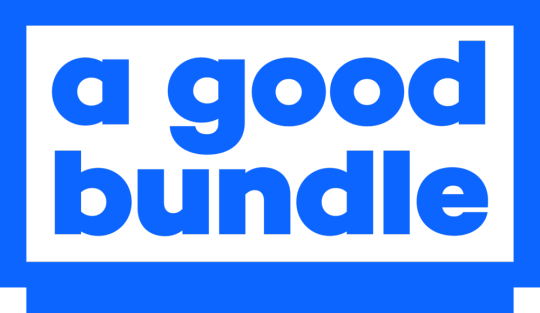 To date, A Good Bundle has raised over $120,000. This is incredible and will give the ACLU and PP the support they will need to fight for those that will need it. We’re so proud of everyone who made this bundle possible and contributed to the cause. 2. We’ve just added over 20 games and content to A Good Bundle including the astounding works of Daniel Linssen, Space Age, Among the Sleep, the soundtracks to Super Meat Boy, Binding of Isaac & Desktop Dungeons and so much more. Additionally, we’ll be enabling Steam keys for creators that have opted-in to provide them. 3. With all this in mind, we are extending the bundle by 2 days and it will now end on Thursday, December 1st at 12 PM PST. Bundles are generally about value, but not this one. This bundle is about developers, creators and players sending a message: We will fight hate, we will support those that need it and we will win. That message has been delivered. Thank you for doing something. Be safe and be well to one another.